Do you love to cook and eat? Do you have a limited time? Do you like to show off, but also have your meals taste like mum’s cooking? 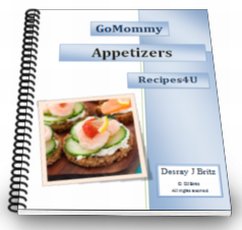 GoMommy’s Appetizer booklet is one of many booklets to let you shine.